Every September, the Ottawa International Animation Festival (OIAF) presents the world’s most cutting-edge, quirky and important animation — and transforms Ottawa into the centre of the animation universe. The OIAF is the largest event of its kind in North America, a major film event attracting attendees from around the world. The European Union Film Festival is an annual showcase of the best of contemporary cinema produced in the European Union. Over the span of two to three weeks, the Canadian Film Institute brings Ottawa audiences a wide selection of award-winning films from the Festival circuit, never-before-seen in the capital city. The Latin American Film Festival (LAFF) showcases features, documentaries, and short films from south of the Rio Grande. Presented by the Canadian Film Institute (CFI), the event features only contemporary Ottawa premieres, gleaned from the screens of such festivals as Cannes, Berlin, Toronto, and Chicago to celebrate the rich and diverse cultures of Latin America. 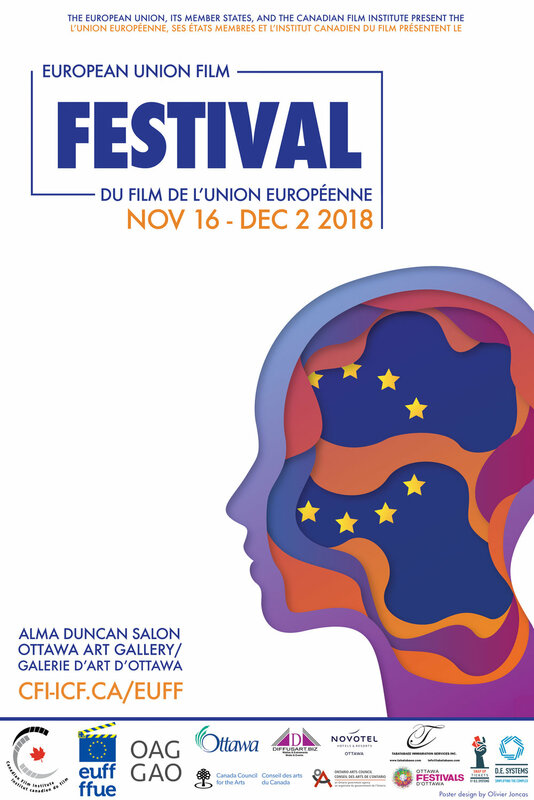 In collaboration with the Embassies of the Baltic and Nordic nations, the Canadian Film Institute presents this annual festival of films from Lithuania, Denmark, Sweden, Finland, Estonia, Latvia, Iceland, and Norway. The Canadian Film Institute’s Canadian Masters series is an annual celebration of excellence in Canadian filmmaking, featuring extensive onstage interviews, special screenings, and audience discussions with some of the greatest names in Canadian film history. This on-going visiting artist series presents artist-curated evenings of independent experimental film and video in an intimate atmosphere. The series features Canadian experimental cinema, with guest filmmakers presenting their work and engaging in extensive discussions with audience members for a "pay-what-you-can" admission. The Canadian Film Institute presents the Israeli Film Festival annually, in collaboration with the Embassy of Israel and the Israeli Cultural Forum (Vered Israel Cultural and Educational Program, and Jewish Community Council of Ottawa / Vaad Ha'ir Canada Israel Cultural Foundation). Each year, the Israeli Film Festival brings premieres of the best contemporary Israeli cinema to Ottawa, introducing audiences to challenging and engaging dramas, comedies, and documentaries. The Canadian Film Institute's annual celebration of contemporary Japanese cinema, the Japanese Film Festival, is presented with the generous efforts of The Japan Foundation and the Embassy of Japan. One of the CFI's longest-running events, the Japanese Film Festival has introduced Ottawa audiences to Japan's talented and innovative filmmakers, providing free admission for audiences since its inception in 1985. 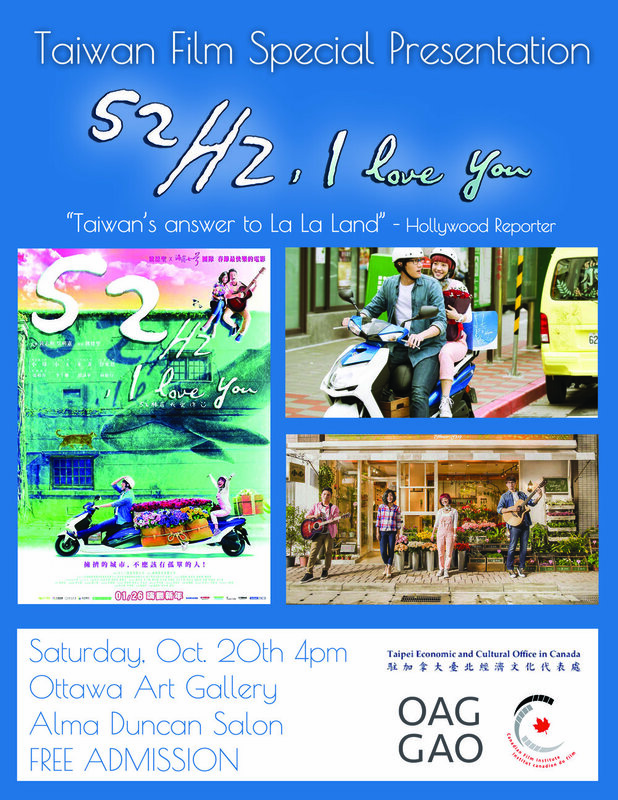 For many years now, the Canadian Film Institute, in collaboration with the Taipei Economic and Cultural Office (Ottawa), has proudly presented many impressive examples of the internationally renowned contemporary cinema of Taiwan. The cinemas of Africa have consistently delivered some of most impressive, urgent, and engaged films in contemporary world cinema. This annual festival showcases the best of African cinema’s diverse and extraordinary films and filmmakers. The event is proudly presented by the Canadian Film Institute, in partnership with Carleton University's Film Studies and African Studies departments.